With the winter Olympics less than a year away, Nissan has recently backed Team GB and Paralympics GB for both Sochi and Rio Olympic Games. Being one of the UK’s leading motor manufactures, Nissan will be supporting the athletes on their ‘Road to Sochi and Rio’ as their official automotive partner. 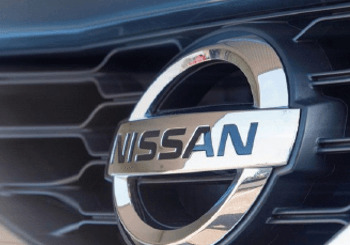 Nissan will apply its innovation in technology to the athletes as well as its logistical expertise to aid the athletes in replicating the success gained at the London 2012 games. Team GB delivered a performance at the London 2012 games that surpassed all expectations and produced Great Britain’s largest medal total in over 100 years, bringing home a total of 65 medals: 29 gold, 17 silver and 19 bronze. The announcement of the partnership was made by Lord SebastianCoe at a press event in central London. He said: "I am delighted that Nissan, a company that is recognised globally for excellence and performance, is partnering with Team GB on the ‘Road to Sochi and Rio’. "The BOA played an important role in enabling me to pursue my Olympic dreams and compete for Team GB, and now, thanks to partners like Nissan, today’s athletes can be afforded the same support. Nissan has invested heavily in British industry and now it is backing Britain in the greatest sporting arena in the world." Nisan will be providing over 4,500 vehicles to aid the events leading up to and including the games. They will also provide support for the BOA and BPA to help with the logistics. Nissan has a massive base in the UK where they employ over 6000 people. Last year Nissan produced 510,000 vehicles,with 1 in 3 cars in the UK being produced by Nissan. This new partnership between Nissan and the Olympic and Paralympics Teams enhances Nissan's great relationship with the UK.